If you are caring for a loved one in their home, FSL offers an educational series to empower family caregivers. One of the topics we don’t currently offer, but encourage caregivers to learn is First Aid and CPR. In this post, we will focus on training from the American Heart Association. Check back later for an overview of Red Cross course offerings. The American Heart Association provides educational materials for a variety of CPR (cardiopulmonary resuscitation) classes, which are given by local independent instructors. The classes can help people from all walks of life, even children, to learn CPR lifesaving skills. According to the AHA, the ability to learn proper CPR techniques depends upon body strength rather than age. Which class you should take depends on your goals. The class is ideal for caregivers and family members wishing to assist loved ones (or anyone nearby) in an emergency. The AHA also suggests the class for first-time parents, babysitters and more. These classes are practical in nature and do not offer an official CPR course completion card. Find upcoming classes by entering your Arizona zip code here. 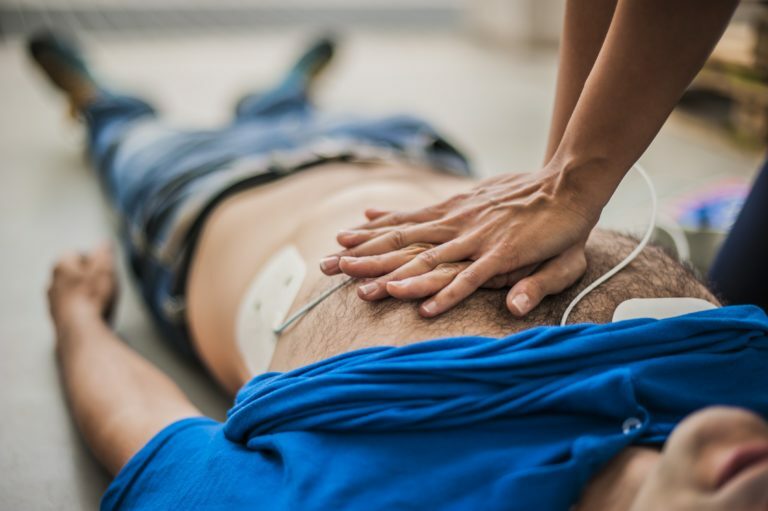 To get started quickly, learn Hands-Only CPR in 30 seconds from this AHA video. Learn hands-on at home or teach your family/group with this kit. HeartSaver Courses are designed to prepare people without a medical background to save a life with CPR. These courses do offer CPR course completion cards, good for two years, which meet official job and OSHA (Occupational Safety and Health Administration) requirements. Interested in the training we offer caregivers? Is your loved one in need of a caregiver? Visit Foundation for Senior Living and learn how your loved one can be helped today.